MIAMI LAKES, Fla.--(BUSINESS WIRE)--BankUnited (NYSE: BKU) today announced the hiring of Benjamin Stacks as executive vice president and manager of commercial real estate lending for the bank’s north region, which includes the New York metropolitan area. 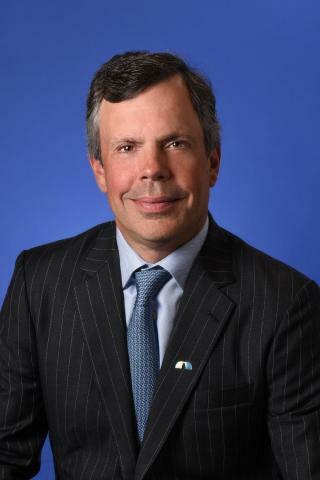 A 25-year veteran of New York commercial real estate banking, Stacks joins BankUnited from Capital One Bank in New York, N.Y., where he served most recently as senior vice president. Stacks served nine years there, after holding various positions at HSBC Bank and M&T Bank. Ben serves on a number of industry boards, including the Real Estate Lenders Association, Breaking Ground and the Young Mortgage Bankers Association. He is member of the Large Loan Lenders Roundtable and is a guest lecturer at the New York University School of Real Estate. He is a resident of Rye, N.Y., where he is a former city councilman. Stacks earned his MBA from American University, Washington, D.C., and a bachelor’s degree from Syracuse University, Syracuse, N.Y. Stacks will be based in the 50th & 5th Avenue Office, located at 623 5th Avenue, New York, NY 10022. For information call 212-409-1265 or visit www.BankUnited.com. BankUnited, N.A. is a national bank and wholly-owned subsidiary of BankUnited, Inc. (NYSE: BKU) and is headquartered in Miami Lakes, Florida. As of June 30, 2018, BankUnited N.A. has $31.3 billion in total assets, 87 branches in 15 Florida counties and five banking centers in the New York metropolitan area. One of the largest independent depository institutions headquartered in Florida by assets, BankUnited provides a wide range of commercial and consumer banking services. For additional information, call (877) 779-2265 or visit www.BankUnited.com. BankUnited can be found on Facebook at facebook.com/BankUnited.official and on Twitter @BankUnited. BankUnited has named Benjamin Stacks as executive vice president and manager of commercial real estate lending for the New York metropolitan area.